When it comes to real estate marketing do you play it safe and stay in the middle, or do you go all the way and deliver an extraordinary marketing campaign? "One of the things I'm obsessed with is extremes. If I started an event business, if I was like in the blow-up castle business to rent to bar mitzvahs and birthdays, what I would do tomorrow is go to China and make the most extreme castle of all time. Like a 900 foot castle! Because what's happening in our society right now is it's minimalism and it's extremism." I think that makes a lot of sense. If we look at the content on social media that goes viral it's the extreme marketing campaigns, not the bland ones, that do well. The TV ads that get picked up and shared on social media with views in the millions are either completely out there in terms of crazy, or they have super high production values or an incredibly positive message. "It's the club dynamic. Why do clubs right now have, when you order the champagne, the sparklers come out? People want attention. They're not buying the champagne, they're buying the attention. ... Don't live in the middle. The world is getting pulled that way because of the internet. The middle is bad." So you don't want to live in the middle because that doesn't get attention. In terms of marketing, you want to go to one extreme or the other, either absolutely crazy or very minimal. Because of the attention that it brings to the marketing campaign and to the real estate agent or agency running that campaign. In real estate marketing you may not have sparklers in your champagne (although if you're wanting something extra special for your next open home then that's definitely going to do it! ), but if you want to stay away from the middle ground then you will bring something to the marketing that gets attention. A lot of real estate marketing these days is very much in the middle, and that middle ground will be different in different places. In some areas the middle ground in real estate marketing is a real estate agent taking really bad photos with their phone. In other parts of the world that kind of marketing would be at the extreme end (but not the good end), and so in those areas the middle ground is nice photos with a neatly drawn floor plan. To identify the middle ground in your market go through the top 10 or 20 property listings that come up in your local real estate search or MLS, and look at what the majority of real estate agents are doing with their campaigns. 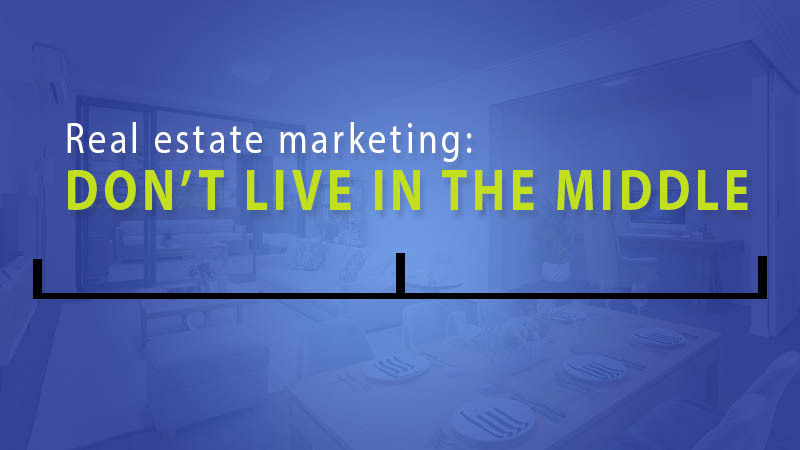 "Don't live in the middle ground alongside the majority of local real estate listings." Instead, think about moving to the extreme end in order to stand out and get the attention of as many buyers and sellers in your market as you can. So, what could extreme real estate marketing look like? This is going to depend somewhat on the market you are in, but at a minimum it's going to be above-average photography and an amazing video. For example, if daytime photos are the middle ground in your market, then use first-class twilight shots. Be aware though that not all photographers are created equal when it comes to their ability to create twilight photos, so make sure you get the best in your area. If shaky real estate agent videos are the middle ground for you, then hire a videographer that can create a cinematic video with strong visual elements, incredible audio, and a perfectly selected musical base. If there is any voiceover or spoken word then it will need to be highly professional and sound amazing. Would this work for every home? But what about that mid-tier real estate market? I think there's definitely a place for extreme real estate marketing at that price point. If you are a real estate agent, would 10% of your commission adequately cover the costs for extreme photography and video marketing? You should expect to be paying at least $1000 to $2000 for that, otherwise it's not extreme enough. 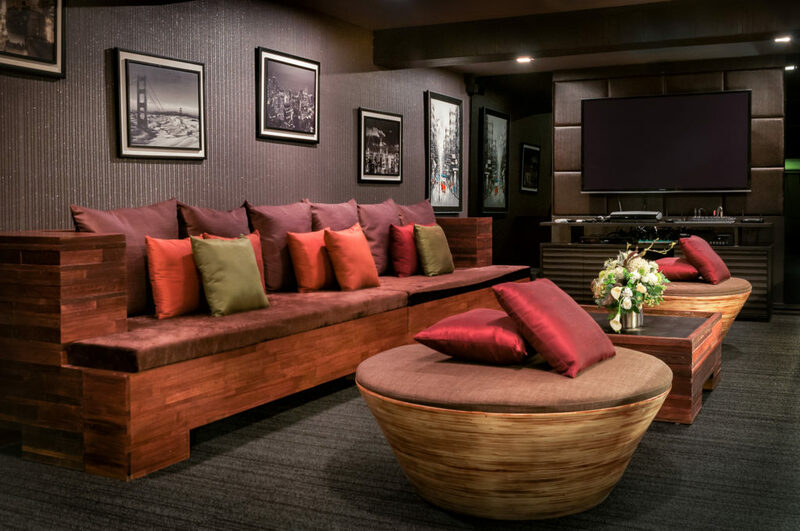 Are you or the homeowners able to perfectly stage the home so that you'll see the highest possible benefit from a first-class visual marketing campaign? As a real estate agent, are you looking to attract more luxury listings? If you answered 'yes' to each of those three questions then it would be well worth considering an extreme marketing campaign for the right listing.